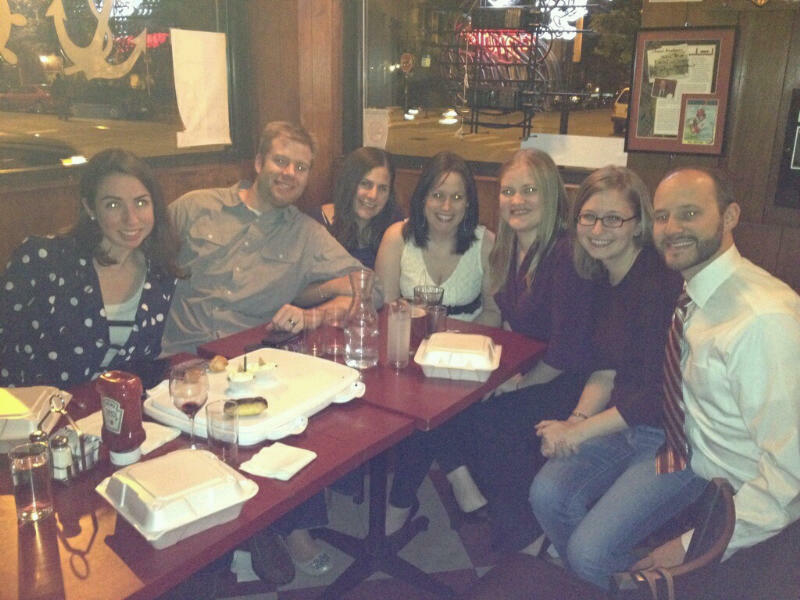 Last night, a bunch of my friends got together to celebrate the birthday of my dear friend, Liz. 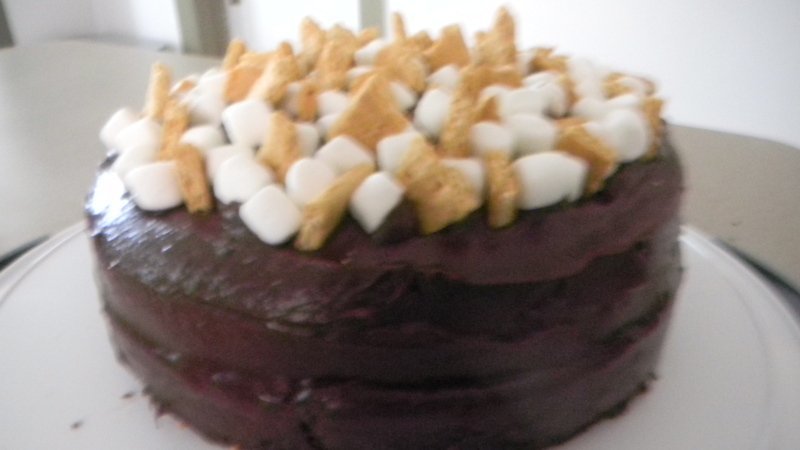 She requested I bake a dessert for the group, and she specifically requested a s’more cake, like the one I made for our friend Lauren’s birthday a while back. Cakes are rather unwieldy to bring out, so I didn’t think that was the best way to go. 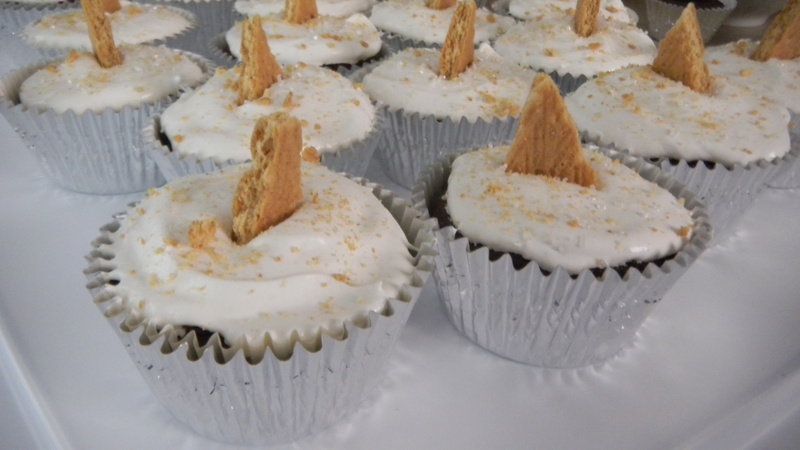 Instead, I came up with a way to make s’more cupcakes. It was actually pretty easy. Put all the ingredients together in a bowl. Stir with a wooden spoon. That’s really it. I used my large cookie dough scoop to spoon batter into cupcake liners. Bake at 350 degrees for 20 minutes, turning once during the cooking process. Once you can pull a clean toothpick out of them, they are done. Now is when I started getting fancy. 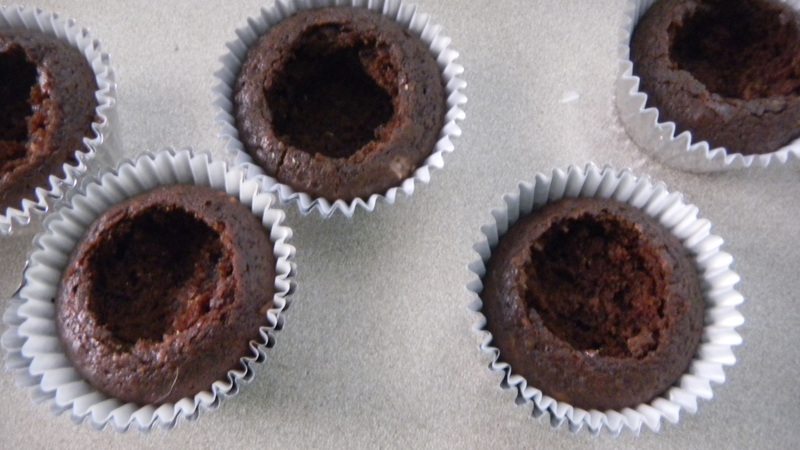 Once the cupcakes were cooled, I took a cupcake corer and cored out each cupcake. 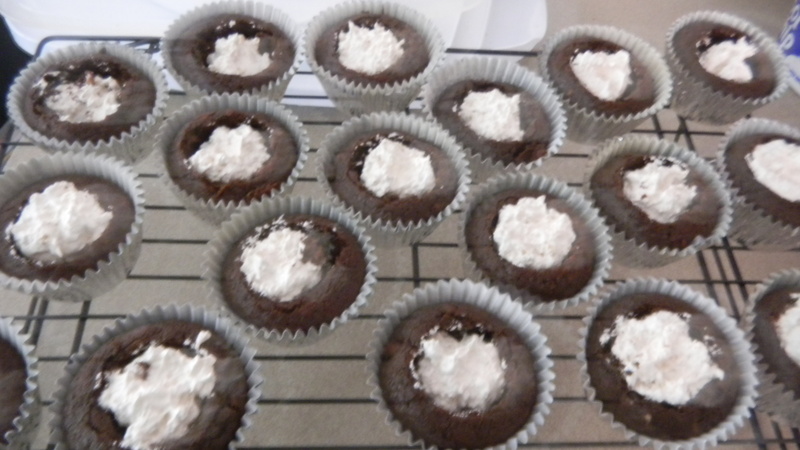 For the filling and frosting, I mixed one tub of Cool Whip with one jar of marshmallow fluff. 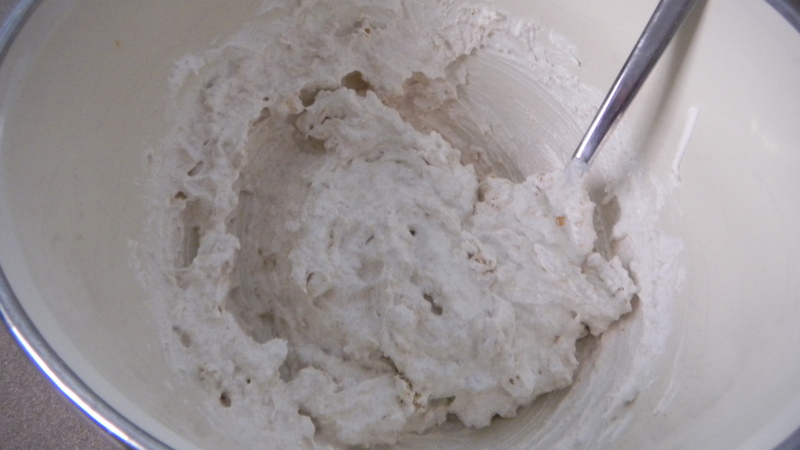 Whip until the mixture is very light. I took about a quarter of the frosting and transferred it to another bowl. There, I added 3 crushed up graham crackers and mixed it all together. 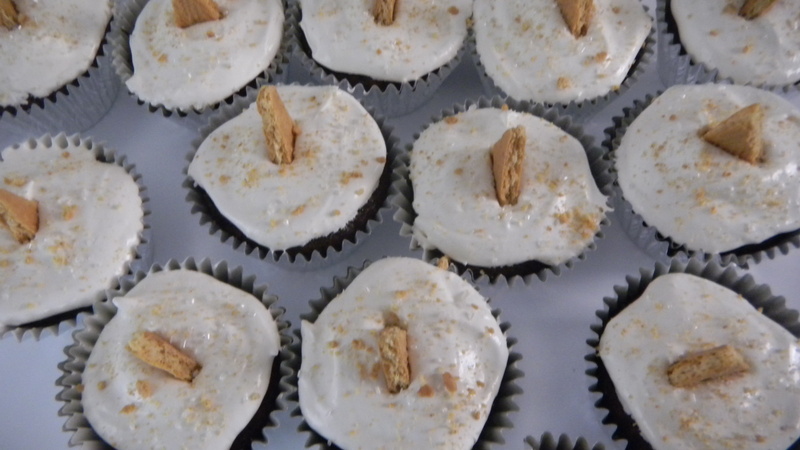 The graham-Cool Whip-marshmallow fluff combination is what I put inside the cored out cupcake middles. 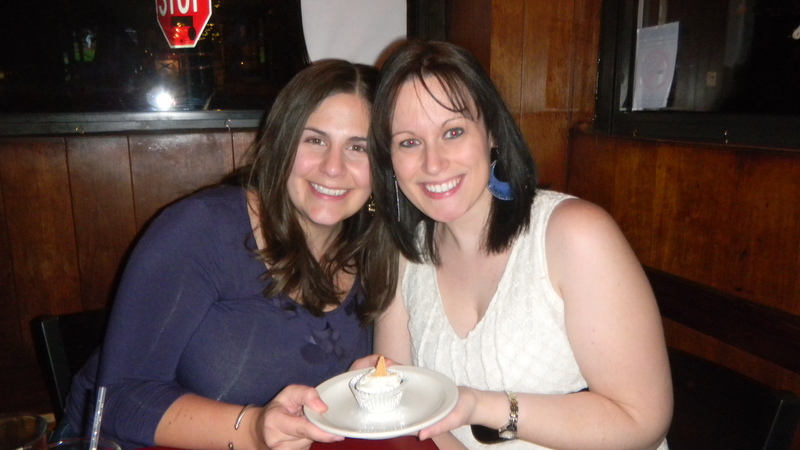 I used the frosting sans graham crackers to top off the cupcake. For decoration, I took bits of graham cracker, crumbs, and some shiny sprinkles and put those on top.